As we kick off a new year, there’s never been a better time to rediscover your motivation for health and wellbeing. Challenges: Cultivating Health & Happiness. Mollie has packed some of her most powerful and accessible holistic health and happiness ideas into this new book, encouraging readers to try something new each week. Ranging from trying a new food or recipe to attempting a minute of press-ups or attending a new fitness class, they also include ideas as diverse as de-cluttering a room, inviting friends around to play a board game and testing your own blood pressure to setting SMART goals, all designed to give you a little push to try something new and, in some instances, leave your comfort zone for a short while to discover new experiences and connect to the world more mindfully with a healthy, ‘can do’ approach. She also has the hashtag #Challenge52 and a Facebook group to encourage people to share their experience with others in a supportive community. 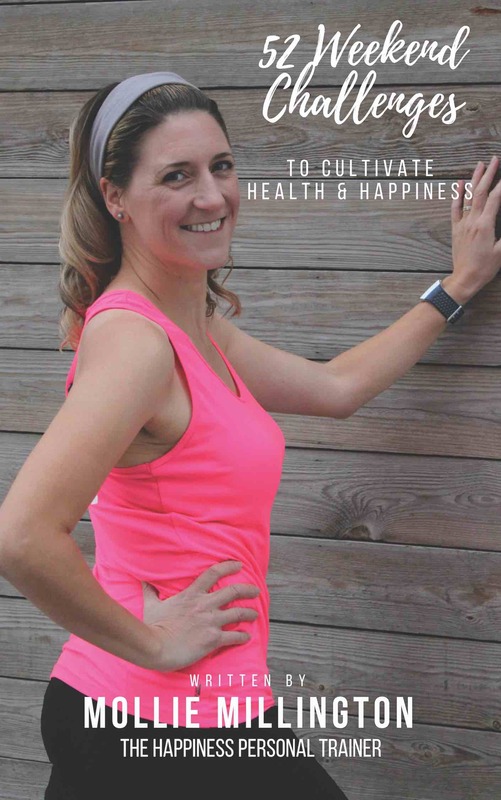 In addition, Mollie has included five 15-minute ‘Quickie Workouts’ at the end of the book to help people step up their physical activity to complement the other challenges.